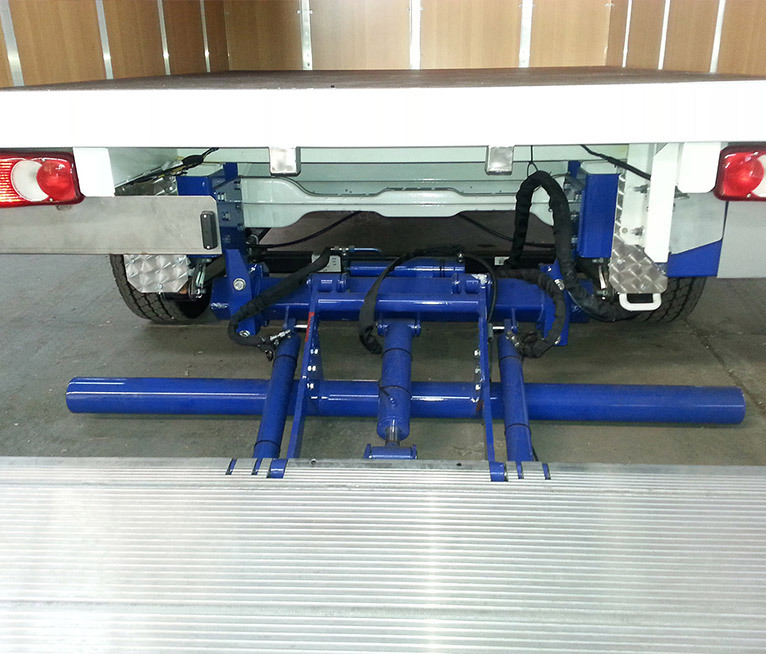 The hydraulic vertical tail lifts are one of the mechanisms more working in the field of transport, loading and unloading of products from vans, trucks and lorries. Altimani is one of the companies “Leader” for the production and sale of the vertical tail lifts . The vertical tail lift are the best model and the most used for the frequents delivery (like the urban delivery of big package). 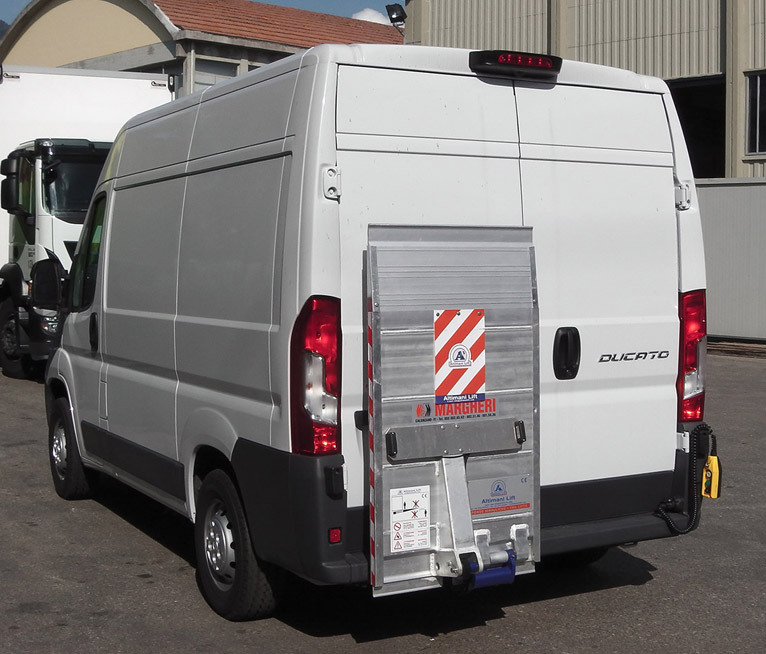 The vertical tail lift for loading and unloading goods on vans and trucks give added value to the vehicles , allowing faster and facilitate all the operation of lifting goods to bring them to the floor of the vehicle that will carry. 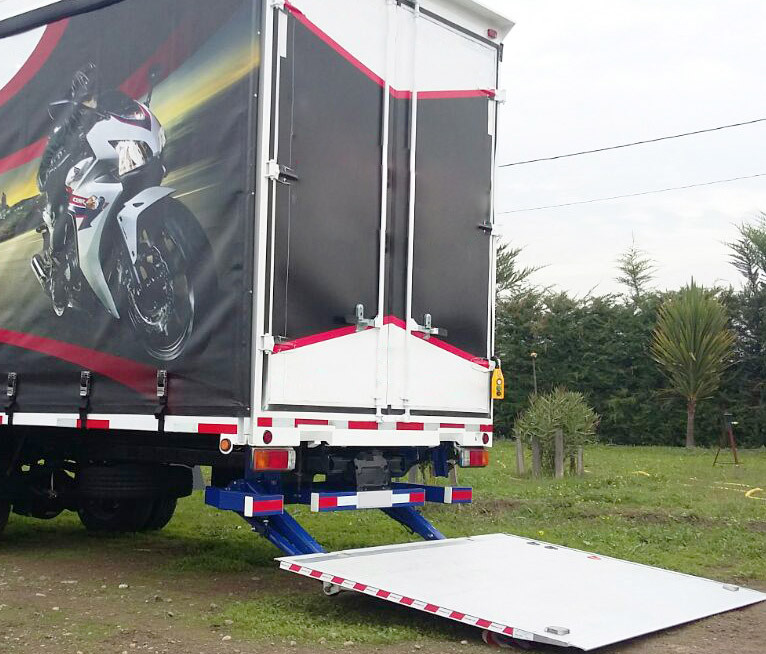 The vertical tail lifts close vertically on the load compartment, also optimizing the space.